The goal for this vehicle is to enable me to take my family on long drives in comfort, but to be able to enjoy the wilderness. 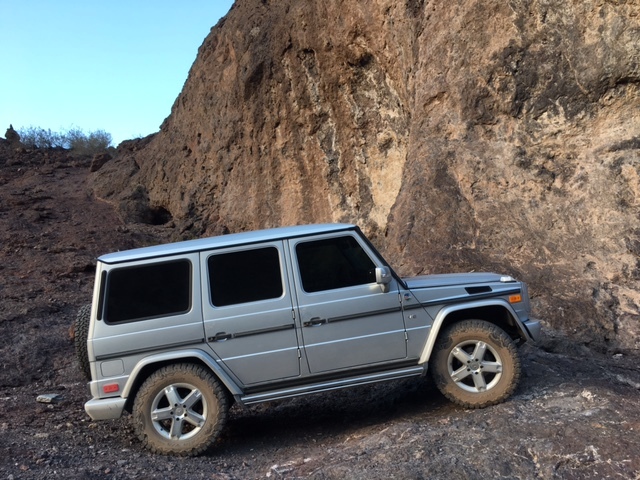 Since we live in Texas it takes a while to get anywhere that we like (mountains), so we wanted to make the vehicle comfortable on the highway as well as trails. I didn't want to add much weight to the G, so I refrained from 3rd party bumpers, winches, etc in order to keep the weight down. The suspension has a moderate amount of lift, without going too crazy. I just drove it 1200 miles from Arizona, and averaged 10.9 mpg on the open highway with all of the weight in the back and up top. The wind buffeting wasn't bad at all, but I would normally get around 13mpg on the highway. All in all I am very happy with this vehicle, but I do suspect that I will get into a newer model in the next few years, as this one has about 150,000 miles on it and there are some rust issues that will need some attention. Safariguy, do you get any ESP warning lights now with the addition of the lift. I installed spacers on my and installed larger wheels and I get ESP warning lights anytime I go over 35 mph while making a gradual turn. I am also in Houston and have taken it a Mercedes dealer, Star Motor Cars and they cannot seem to find out how to fix that specific problem. Just wondering if you have encountered that problem and where you get your work done. merctaf, I have only seen an ESP light come on once since doing the new suspension and taller tires. It happened on one of those circular entrance ramps to a freeway. I was driving on the fast side, trying to see if I could get the ESP light to come on. I had a roof rack and Eezi-Awn up top, so extra weight probably contributed as well. Regarding Star Motor Cars, my experience over there has been abysmal. Abysmal. Attitude, a lack of knowledge of older G's and prices that aren't even reasonable. This would probably solve the issues you are having. Basically they need to use the STAR software to get into the vehicles settings and tell it that you have a different gear ratio in the axles. here is my 2008 G500. i have cleaned it up a little bit by removing the tinted windows + G63 wheels + removed spare tire carrier. Really like the AMG wheels. Now all you need is a g63 exhaust. Here is my new-to-me 1990 GD300! 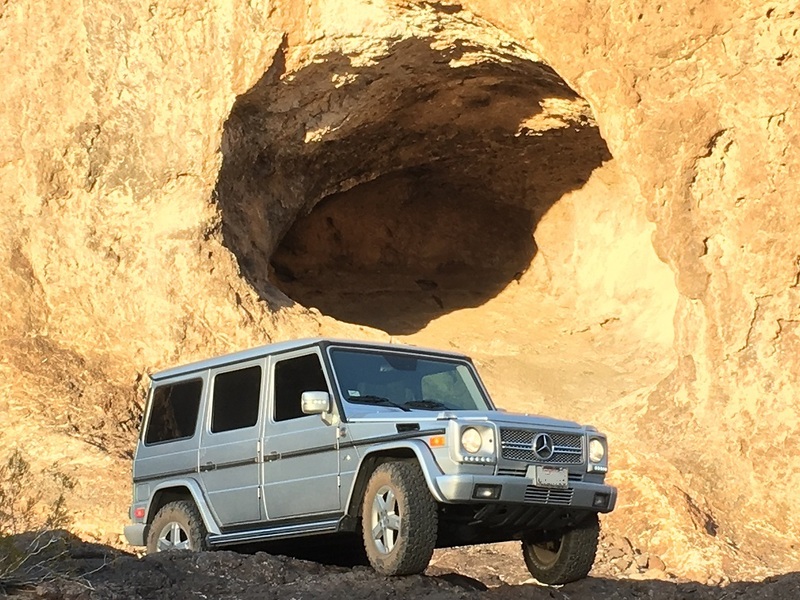 This is my first G-Wagen and so far I am very pleased with it. That is in great shape! Looks fantastic. Agreed, it looks like it's in great shape and we're practically neighbors (I'm in Billerica, MA). Nice photography too. My 2006 G500 with some bigger meat on the wheels. I also threw on some updated DRL's and grill to spruce up the appearance a bit. Stock suspension with BFG K02's in 275/70/r18. So far so good with no rubbing issues. G-wagen good car! I like such car! Especially military vehicles are pleasant. My 90 G300 diesel with its transplanted 603A motor. Hello all, first post over here. 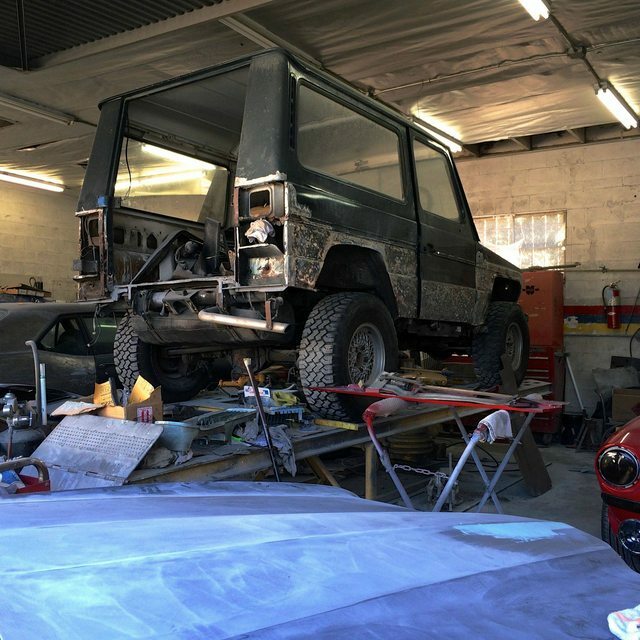 Owner of a 1980 300GD 3-door undergoing full restomod. I'm basically taking the best factory options from all years for the W460 and W461 chassis (and even some W463) and making my end-all, be-all G.
Work in progress... fast, good, cheap; choose two. I'll see you guys in a couple years.